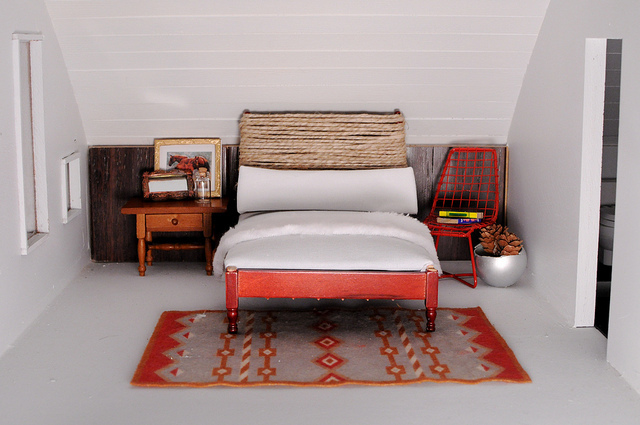 You probably remember my blogging friend, Emily S. and her fabulous house that I featured here.﻿ But have you been following her progress with Emily Henderson's I'm A Giant Dollhouse Challenge? I emailed back and forth with Emily H. and debated on whether or not to join her challenge... but decided that I just didn't have the time to commit to a challenge like this. 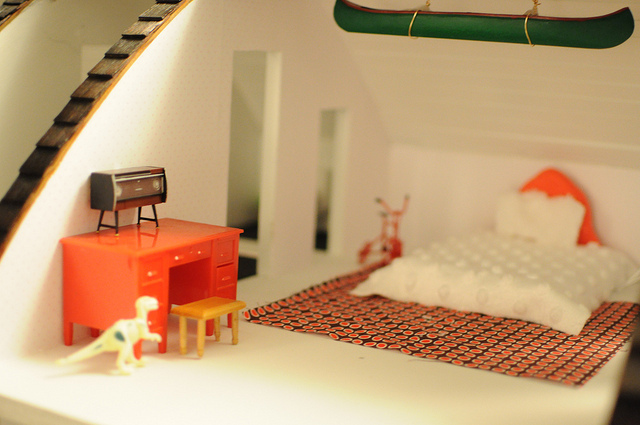 Or the talent- you have to be uber patient to create a designer dollhouse! So that just makes me drool over Emily S.'s fabulous work even more. 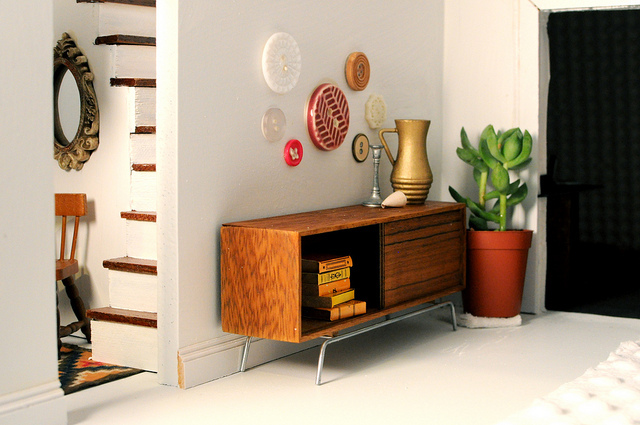 This lovely lady just finished her dollhouse and it is... amazeballs. I mean, for serious... check it out. I told you... all kinds of awesomesauce. 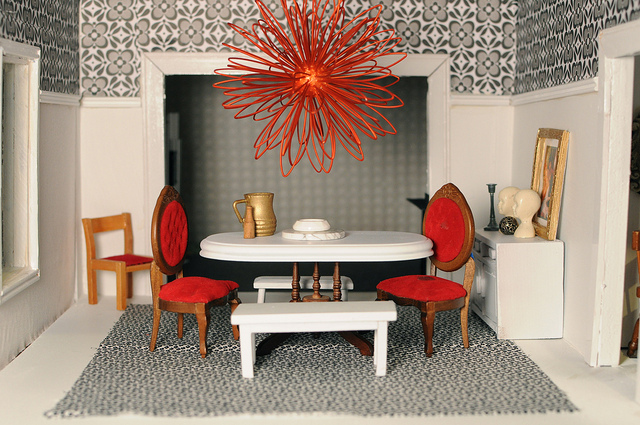 Head on over to Emily's blog to learn all of the details of this mini- magazine worthy home and to see more of her fabulous doll house. Happy Friday! Oh my gosh this is amazing!!!!! oh my goodness gracious mercy! that is adorable!! and what a labor of love! Thanks for sharing! So cute! My dad and I started to make one when I was a little girl but we never finished it. I want to finish it for my little girl. Yowza! That is so amazing. I've seen a couple of the submissions so far and they're amazing, I can't WAIT to see all of them! Wow, I am blown away by this!!! How ridiculously amazing!!! Like seriously...the amount of time and detail that went into this is just mind-blowing! And I have a small obssesion with all things teeny tiny! Wow! Insane. 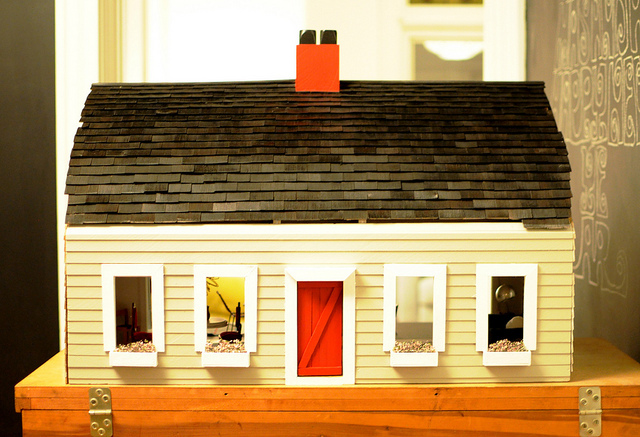 I cannot believe this doll house! It is beautiful. ohmygosh! she did such an amazing job on this! there is no way I would have enough patience to put so much detail in it - but I love it!!! Love this- so cute. 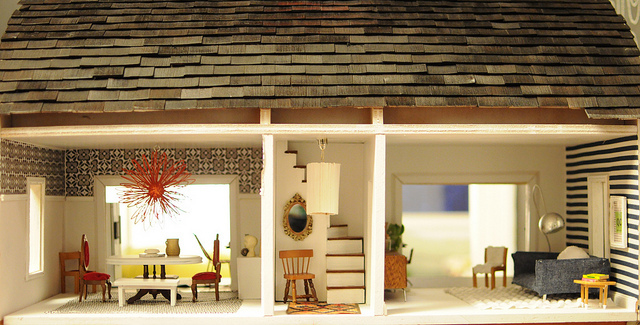 Who can resist doll houses. They are magical! Oh my goodness! 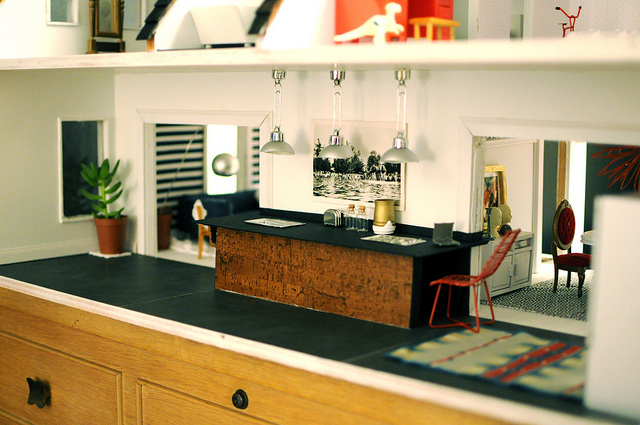 That is such a cute dollhouse! I would never have thought to do something like that. HOLY COW. This is sooo amazing. All the little details blow my mind. So stylish!! This is truly stunning. 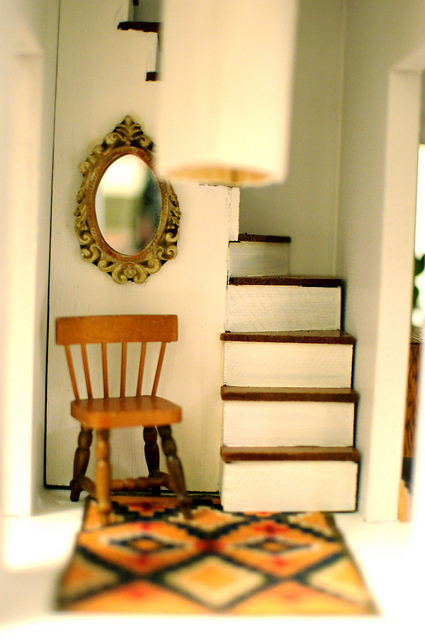 I have a dollhouse at my parents house that was a great candidate for Emily H.'s challenge, but I simply didn't have the time. 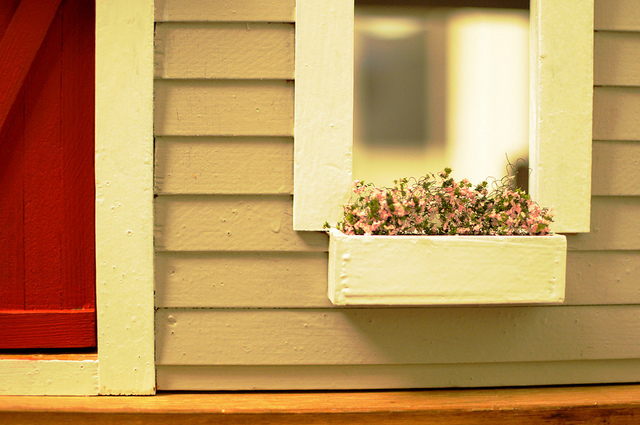 Someday, if I have a daughter, I vow to decorate it like your friend did. Amazing! My parents still have the dollhouse my dad made me when I was 4 or 5 and I was just thinking the other day that I would love to get it out of the attic and refurbish it. Thanks for the inspiration. Wow this is amazing, so detailed. 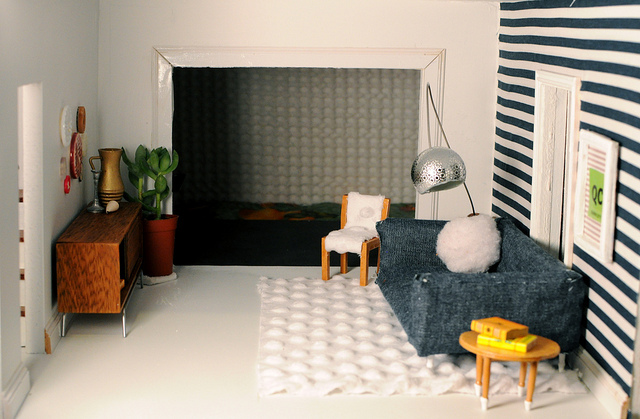 I want to shrink and live there! It is perfect ! I'm making one on my blog to. Oh My Gosh, Michelle. It's so perfect! I love it. The details are amazing. Thanks for sharing! 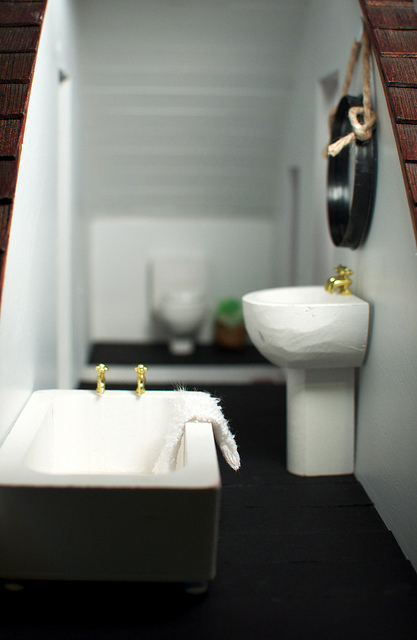 i would totally live in that house if i was miniature. 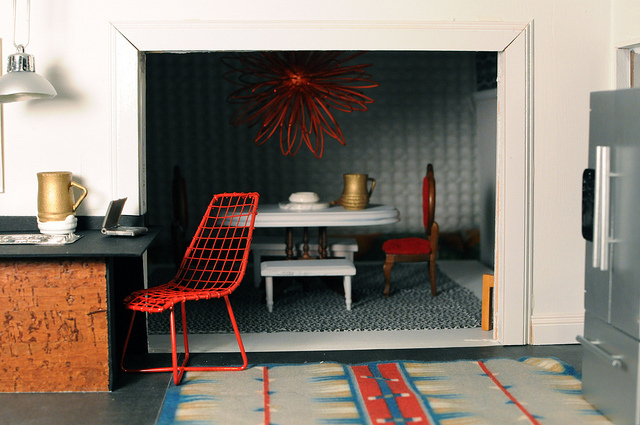 What am amazing doll house! 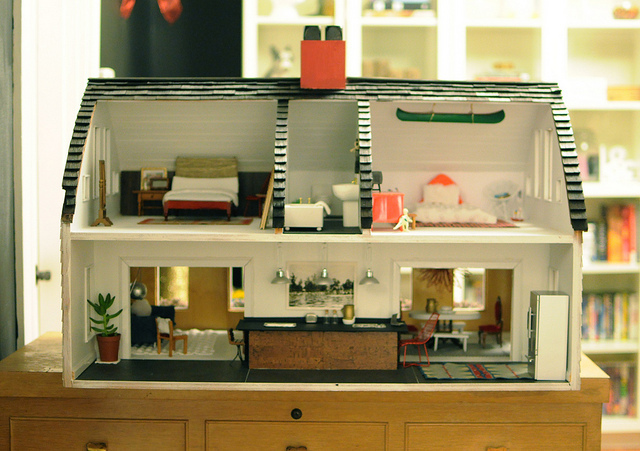 I've always loved doll houses and this is one I would actually live in if it were lifesize! that is flipping amazing. emily, how did you make all of this? super impressed! !